Edited by Asklepi0s, 01 April 2019 - 10:22 AM. We over here on the forum can not even agree on one thing. So to what players do they have to listen ? You just told them that you think they have some special relation with their close relatives. Nothing else. No feedback, no criticism, nothing. How exactly is that supposed to help with... anything? What is it we're telling them? Because i'm pretty sure if you raised one issue you'd get 10 different ill-thought out and contradictory "solutions". But you miss the majority of players who are not moaning. But what if I really really want a Defender? Can I buy one and skip the next payment instead? I think we're all telling them we all want the autoloader back on the 59-16. The players have spoken!!! I don't see what else could possibly be causing such consternation. 1) accept it as it is. 2) stop supporting them at all. Edited by Asklepi0s, 01 April 2019 - 10:23 AM. Yeah ! This is what I do. 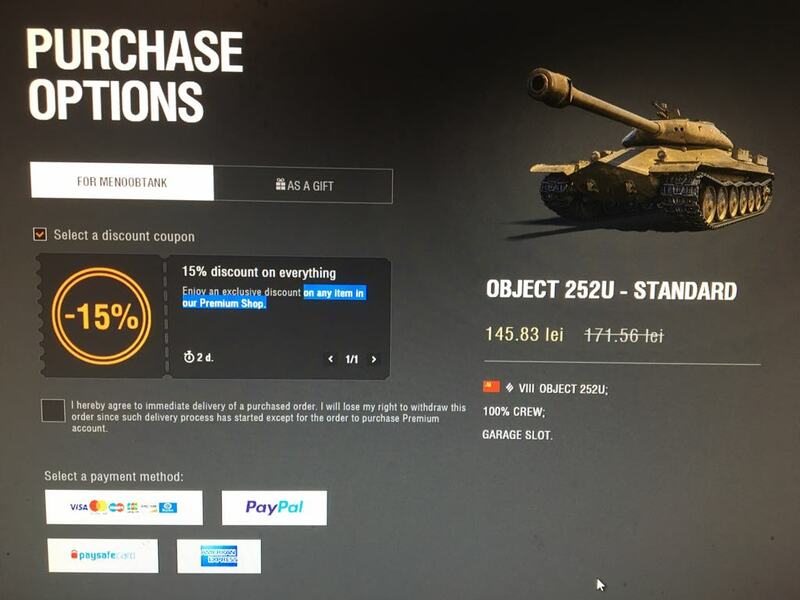 I skipped the most OP tank in the game that is finally available + I have a 15% discount on the regular package. It was a hard thing to do because I said that if Defender will ever come back it will be my final purchase. But now I will not do that because of the recent WG bad decision they did. Maybe I will buy something after they fix mm, fix arty, fix maps, fix broken OP tanks, fix UP tanks, fix special ammo. Right now I see no reason to invest real money on a broken game. Only if the VK28.01 gets the derp back. https://www.superdataresearch.com/worldwide-digital-games-market/ look at how much money WoT earned in feb.. you are going to have a tough time convincing people to stop giving WG money it seems. I hope I'm wrong, but I think WG isn't talented and dedicated enough to fix their crap. You're assuming we all buy stuff on a regular basis. I don't need premium and I don't imagine I'll buy gold for I don't know how long. WE CAN DO THIS !! DONT GIVETHEM MONEY UNTILL THEY BALANCE THEIR GAME !! Edited by Bucifel, 30 March 2019 - 10:58 PM. We get a topic like this every month. And considering how few of the player base goes to this forum. Inc lurkers. As the next time a rare wanted premium comes on sale, for each one you get to stop, more will take his place to buy the next hype wagon. And most here are old timers. Most inc me have not bought premium time in ages. Buys less and less premium tanks as we don't need it in general anymore. So my spot has been taken over by several new players or alt accounts. No worries there. This could confuse things then, if I'm not giving them any money or playing until they give me back my gun on the 59-16 & you're not giving them any money, but still playing until they balance their game.